Home Android Mobile Mobile Troubleshooting Samsung Mobile Smartphone Where Can I Check the Model Code।Serial Number।IMEI Code in Samsung Mobile? 1). If your phone is Dual SIM, then it will display two IMEI numbers on screen. 2). One can dial *#06# on the mobile phone to get the IMEI number. 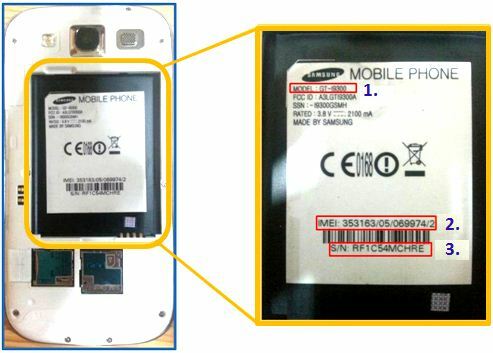 There is some misleading information in above post, IMEI number is always unique and even for dual SIM phones, there will be a single IMEI as it is associated with device. See more information.